What’s the Difference Between HVAC and an AC Unit? 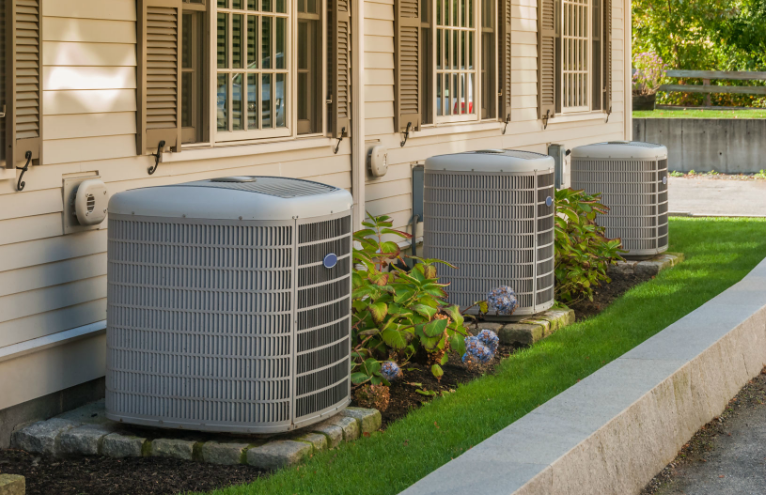 One of the most common areas of confusion for homeowners is the difference between their HVAC and air conditioning units. While the two are different, many are unsure of what aspects separate the two. To add to the confusion, contractors and builders may use the two terms interchangeably. However, there is a definitive difference between the two types of units, and while the acronyms may be used interchangeably, they do in fact refer to two different things. HVAC stands for Heating, Ventilation, and Air Conditioning. An HVAC unit is responsible for heating and cooling the air in your building, and provide ventilation to allow moisture to escape. Your HVAC unit includes the furnace, the air conditioning unit (if you have one), and any ducts or vent-work designed to release moisture. While all HVAC units do reference air conditioning units, not all air conditioning units are HVAC units, see below. AC or air conditioning, is the system designed to cool the air in your home. Some contractors or builders call an AC unit anything that conditions the air, hot or cold. To keep things simple: the system designed to cool the air is the AC unit, and the system designed to heat the air and push moisture out through the vents, is the HVAC unit. The difference? An HVAC unit heats, cools, and ventilates your home; and an AC unit only cools your home. Now you can tell your contractors the correct terminology next time they mess up. For more information on heating, ventilation or air conditioning, Contact USI to find a branch near you.